Centre Henrik Sedin wore 33 for the Canucks. He had 240 goals and 840 assists over 1,070 games and holds the franchise's points record. 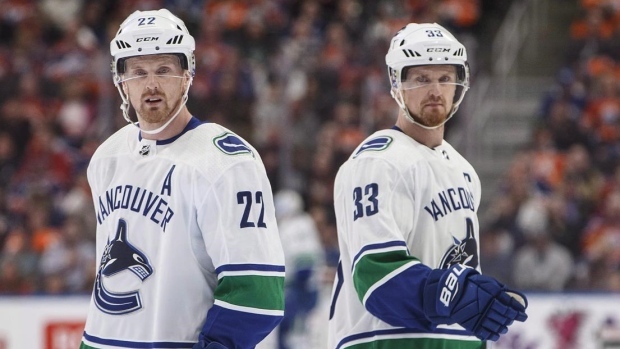 Left-winger Daniel Sedin wore 22 and is Vancouver's all-time leading goal scorer, with 393 goals and 648 assists in 1,041 games. The organization has previously retired four other numbers: right-winger Stan Smyl's No. 12, left winger Markus Naslund's No. 19, right winger Pavel Bure's No. 10, and No. 16, worn by centre and former team president Trevor Linden.